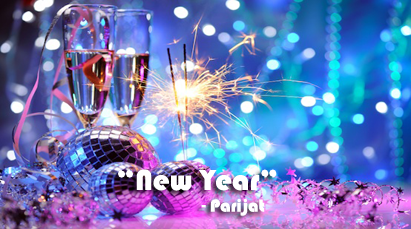 Four Levels for "NEW YEAR", "NEW YEAR" is written by Parijat. Parijat was a Nepali writer. Her real name was Bishnu Kumari Waiba but she wrote under the pen name Parijat. Her most acclaimed publication is Sirish Ko Phul ( The Blue Mimosa ), which has also been adapted in the literature curriculum of some colleges in some English-speaking countries. Parijat was born in 1937 in the hill station of Darjeeling. Darjeeling is inhabited by Nepali people and has never lost its character as a major centre of Nepali language, culture and literature. While she was contributing to literature, she also tried to support social causes and initiated attempts like Prisoner's Assistance Mission. She died in 1993A.D. 1. Literal Comprehension: When the speaker sees the wind that chases march away, and the sun which climbs up the hill, she knows that the New Year has arrived. She can pre-assume that a New Year day has arrived by seeing the nightingale flying here and there, and the buds of flowers. The third stanza begins with "but", and it shows the contrast in the poet's thinking. When the New Year comes, we except some new thing but the poet again describes the same old thing. She sees the mason wasps returning lazily to their same old nests, which is in the dark and dirty ceiling of her house. The arrival of New Year should have brought new thing but the mind is busy in same old dreams. Seeing this, she feels to paint the nature afresh. 2. Interpretation: The poem brings reversal in expectation of the readers. The poem consists of 12 lives. The first six lines describe the changes brought by the arrival of New Year. Then the seventh line begins the contrast but the poem does not include any contrast rather it describes the same old workings. The last two lines show the poet's desire to rebel against nature. 3. Critical Thinking: The poem teaches a lesson that life without changes has no value. All the routine works are meaningless, if there is no change. The poet enjoys the arrival of New Year; but, soon she remembers all her works and regrets. But, all her regrets are meaningless because of arrival of new year does not guarantee the changes and freshness in life. 4. Assimilation: I find the speaker pessimistic towards life. We should have patience and wait until changes come. We should deviate from our work and determination. If there is no change after our work and determination, we should understand that our work is not sufficient to bring changes in life. We should take lesson from our part. 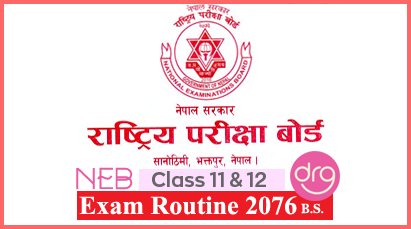 Bachelor Level Course "New Year"
Four Levels Of "New Year"
0 Response to "New Year | Four Levels | Parijat"